The sixth annual "Big Bus Day" organised by East Yorkshire Motor Services in association with Hull Museum of Streetlife proved to be another great success last Saturday with over 3,000 visitors turning up and enjoying the popular community event. Although admission was free, model and memorabilia sales and donations for the children's games and other attractions combined to raise a total of over £1,200 for the NSPCC. 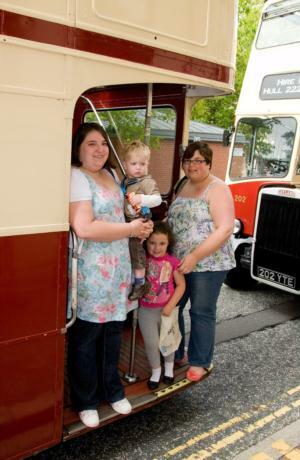 The event has been held annually since the first "one-off" in 2006 to celebrate EYMS' 80th anniversary was such a big hit, and Big Bus Day has always proved extremely popular with at least 3,000 visitors each year, and almost £6,000 in total so far donated to the NSPCC. 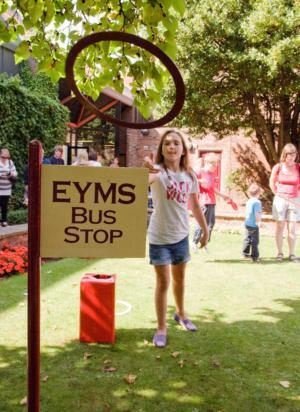 This year visitors enjoyed one of the few warm sunny days so they could listen to the EYMS band during the day and look at the new and heritage buses without the need for umbrellas. As always, one very popular attraction was the free open-top and vintage bus tours of the city, and drivers on the three buses were kept very busy running trips about every ten minutes, with long queues forming for most of the day. 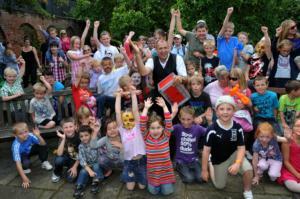 EYMS chairman Peter Shipp said he was delighted that once again the Big Bus Day had proved such a big attraction. Mr Shipp said "I and all our staff involved really enjoyed the day, talking to bus enthusiasts, passengers and people just interested in nostalgia and a really good family day out. I think we now have a truly annual event on our hands so we shall fix a date for next year very soon!" Bus drivers are getting younger these days... a family hop onto one of our Open Top bus tours. 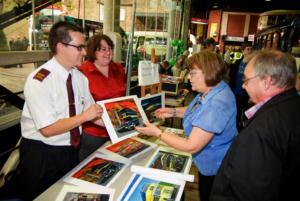 Visitors to Big Bus Day take a look at some of Driver Simon Walford's bus paintings. 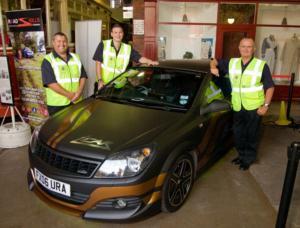 The Humberside Fire & Rescue Road Safety Team pose proudly beside their iCar - a state-of-the-art crash simulator. Children enjoy a show by Mark the Magician.